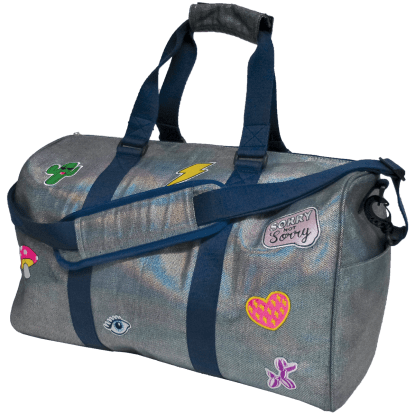 Looking for a really cool but not too bulky bag when hanging out with friends? 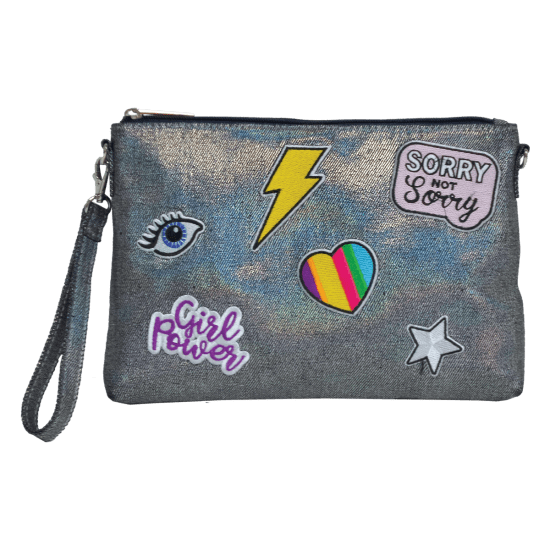 Our metallic denim clutch bag is a tween dream with trendy embellished patches and a pretty shimmer. With a removable wrist strap, it's great on its own or for keeping things organized in a bigger bag.